Do you love beer? Do you love Android? Meet KegDroid, a revolutionary new way to get your beer! Built on Google’s Android operating system, KegDroid’s design lets you select and order your beer at the click of a button. The KegDroid, also known as “Betsy” will then dispense your favorite brew. 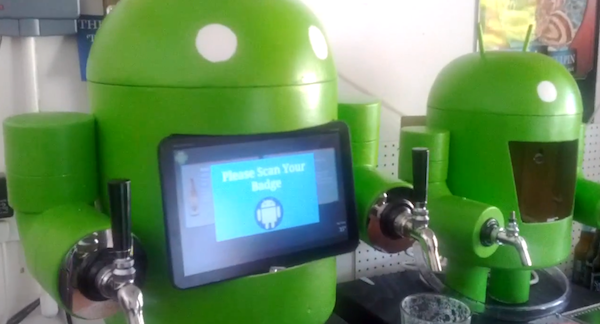 The Android beer dispenser was developed by Paul Carff, an employee of Google who says his passion has been brewing beers since 1991. NFC Reader – Authenticate will connect to the controller. It will also verify your identity. Ardunio Controller – That will allow you to select your personal brew that you want. Xoom Tablet – Where you can select which beer you want on a beautiful touchscreen and it will start pouring your a beer!